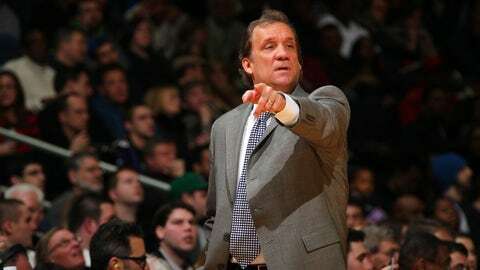 Flip Saunders died Sunday after battling cancer. MINNEAPOLIS — The Minnesota Timberwolves will wear a commemorative patch on their jerseys during the new season honoring team president and coach Flip Saunders. Saunders died Sunday after battling cancer. The team said Tuesday it will wear the patch for all home and road games starting with Monday’s home opener against the Portland Trail Blazers. A pregame tribute to Saunders also is planned that night. The Timberwolves also plan to wear a specially designed warm-up shirt during all games through November. The shirt says "WE," which the team says symbolizes its togetherness. The gray shirt has black lettering, with the name "Flip" across the heart. The shirt will be unveiled Wednesday night when the Timberwolves take the court for warmups in their season opener in Los Angeles against the Lakers.